Suicide Bombing in Iran’s Chahabar Port: “Blowback” from US-India War against the China-Pakistan Economic Corridor (CPEC)? 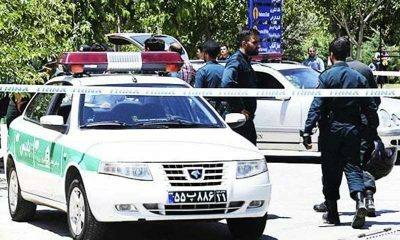 The suicide bombing that just took place in Iran’s southeastern port of Chabahar was more than likely caused by blowback from the joint US-Indian Hybrid War on CPEC, in which case Tehran would do well to reconsider its strategic partnership with New Delhi and ask itself whether it’s worth facilitating the country’s entrance into Central Asia if India’s recklessness is responsible for endangering the Islamic Republic’s security at this very sensitive time of sustained international pressure against it. The general concept put forth and vindicated in hindsight after the latest events is that US-Indian support for BLA and Daesh terrorism against Pakistan will inevitably spread across the border into the Iranian province of Sistan and Baluchistan that hosts the strategic Chabahar port, which could in turn hamper the efficacy of this project for connecting India to Central Asia and ultimately “balancing” Russian and Chinese influence there. More importantly, however, it could derail India’s long-term ambitionsto make itself a key player in the Afghan peace process through the patronage networks that the NSTC’s eastern branch could create with time. While there’s a chance that this blowback was, per the very definition of the word itself, unintentional, another possibility also exists. …Or “Deep State” False Flag? Per the author’s forecast two and a half years ago about the US-Saudi plan to prompt an Iranian pullback from Syria, some “deep state” factions in Washington might be willing to sacrifice their rivals’ scheme to have Iran facilitate India’s entrance into Central Asia via Chabahar and might actually believe that their country’s grand strategic interests would best be served by severing this de-facto anti-sanctions “pressure valve” instead of granting New Delhi a waiver to continue using it to Tehran’s residual benefit. Whether directly involved in this plot or not, that outcome would also advance Saudi Arabia’s interests vis-à-vis Iran by stoking more instability in its adversary’s borders and therefore making it more likely that Tehran will redirect its military focus away from Syria. In fact, Saudi Arabia already blatantly bribed Indian Prime Minister Modi by committing to invest in India’s technological, agricultural, infrastructure, and energy industries as a means of guaranteeing his partner’s tacit quid pro quo to gradually decrease purchases of Iranian energy, which could severely impact on the Islamic Republic’s economy considering that India is the second-largest consumer of its resources. It follows that Saudi Arabia would naturally be in favor of India abandoning its NSTC plans, which is why Riyadh must be silently celebrating the blowback that Tehran’s experiencing from the Hybrid War on CPEC because it makes it less likely that New Delhi will continue using the Chabahar Corridor, thus in effect cutting off one of Iran’s most important anti-sanctions “pressure valves”. Expanding upon this scenario, it would imply that the US might have actually had more of a direct hand in this latest terrorist attack than it initially seems, with one of its “deep state” factions wanting to deliberately sabotage Trump’s foreign policy by compelling India to pull out of Chabahar despite the President’s administration granting it a waiver to continue its economic activities there. Seeing as how Saudi Arabia is now a crucial strategic partner in CPEC, it’s extremely unlikely that it would endanger this privileged position by aiding BLA and/or Daesh terrorism against Iran in a transnational region where it’s bound to blow back against Gwadar, so the Kingdom is probably innocent of any suspicions about its complicity despite its previous reputation in this respect. India is now in a double dilemma after its Iranian partner fell victim to blowback from the Hybrid War on CPEC that New Delhi’s jointly waging together with Washington. The first conundrum that the South Asian state has to confront is that it can’t exactly be sure whether this was a “natural” development per se or if an anti-Trump “deep state” faction was behind it in order to undermine the President’s ambitious vision of facilitating India’s Chabahar Corridor to Central Asia by means of his recently granted anti-sanction waiver for this strategic port. The other uncertainty has to do with whether India will continue investing in this project or not after its security is now in doubt and risk bearing the manifold costs that this might entail. Iran also has to ask itself whether it’s even worth hosting the Chabahar Corridor anymore in the first place after India’s recklessness in contributing to the Hybrid War on CPEC in one way or another was responsible for endangering the Islamic Republic’s security at this very sensitive time of sustained international pressure against it. Responsible decision makers in Tehran should be troubled by the fact that they’re taking on extra security risks by supporting an as-yet-unprofitable project that’s being inadvertently subverted by their own Indian partner, all while getting nothing in return at this moment other than a grandiose Bollywood-assurances that this “master plan” will eventually work out. At the very least, Iran should make its continued cooperation on this project conditional on India curtailing its Hybrid War on CPEC. Going further, Iran would do well to deepen its incipient multidimensional strategic partnership with Pakistan, particularly in the field of hard and “soft” security and with a specific focus on countering Hybrid War threats through joint “Democratic Security” measures. One tangible step that it could take in this direction is to explore the possibility of creating an Iranian version of the “Overseas Pakistani Baloch Unity” (OPBU) initiative spearheaded by Dr. Jumma for reintegrating wayward Baloch into mainstream society, as well as carrying out joint border exercises with Pakistan and raising international awareness about the BLA and other relevant terrorist groups at international fora. Ideally, their joint Russian and Chinese strategic partners could aid with these initiatives and also provide consultative support because of their shared interests in defeating terrorism. As of this analysis’ publication, no group has taken responsibility for the suicide bombing in Chabahar, but regardless of who did it, the overall dynamics at play are such that this is proof that the joint US-Indian Hybrid War on CPEC is finally blowing back into Iran and undermining the NSTC. Two main theories can be postulated about whether an anti-Trump “deep state” faction had a guiding hand in this attack in order to sabotage the President’s ambitious Chabahar Corridor plans for connecting India to Central Asia or if this was just an inevitable “happenstance” event, but irrespective of that, the fact of the matter is that India and Iran are now thrown onto the horns of several interlocked dilemmas. India isn’t quite sure whether its American ally played a part in orchestrating this attack, nor is it certain whether New Delhi will continue with the Chabahar Corridor after its security and other related costs just dramatically spiked following the latest suicide bombing. As for Iran, some of its decision makers must naturally be questioning the wisdom of allowing a proud American and “Israeli” ally like India to play a leading role this sensitive border region, especially after its irresponsible Hybrid War on CPEC is veritably blowing back into Chabahar. Independent of the Chabahar Corridor’s uncertain future, Iran will probably enhance its full-spectrum ties with Pakistan in response to this terrorist attack, thereby strengthening the Golden Ring of Great Powers in the emerging Multipolar World Order. Ironically, the most far-reaching blowback from the Hybrid War on CPEC therefore might not be that the Chabahar Corridor could be discontinued or that this latest event contributes to Iran pulling back from Syria per the US-Saudi plan in this respect and Russia’s initiative that it’s reportedly commencing independently thereof, but that the grand strategic positions of the US and its Indian ally are greatly weakened if the ultimate outcome is that the Golden Ring becomes more unified than ever before in the face of this terrorist threat. Russia, China, and the Central Asian CPEC stakeholders’ support of any joint Pakistani-Iranian anti-terrorist measures, especially worldwide information campaigns at international fora, would go a long way towards showing the world that Eurasia won’t be divided by such Hybrid War schemes.